Mine: The quirky, awkward humor here makes for an interesting and surprisingly touching movie. Stewart does quite well here and the supporting cast is first rate. 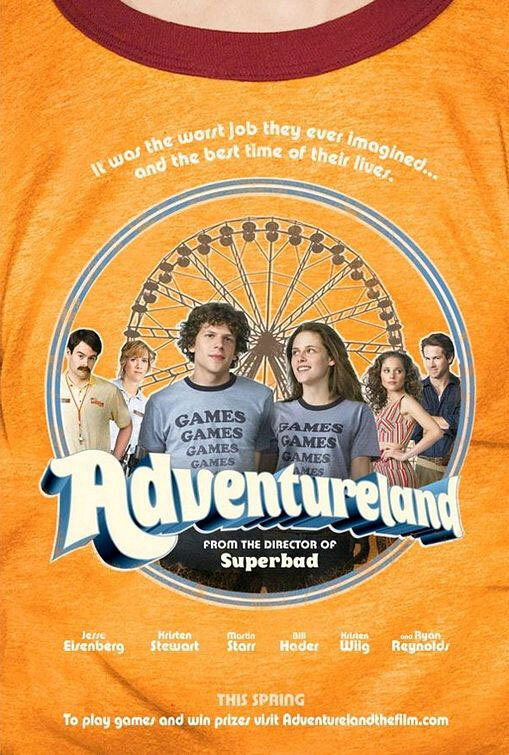 Leonard Maltin/Plot synopsis: A comedy set in the summer of 1987 and centered around a recent college grad (Eisenberg) who takes a nowhere job at his local amusement park, only to find it's the perfect course to get him prepared for the real world.